Where to get that much-needed fitness and meditation treatment this spring. 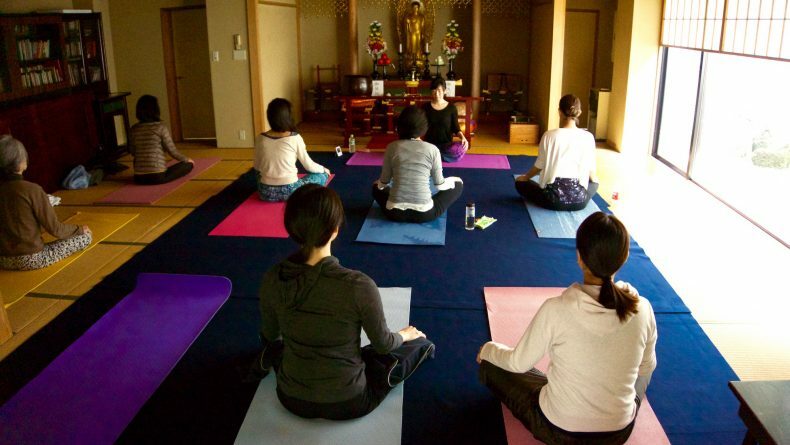 Japan’s yoga craze started in the early 2000’s when Japanese yoga instructors rushed to open studios all over the country and new yogis started picking up the practice in search for some peace and quiet in their daily lives. Thanks to this, today we have yoga studios in almost every corner of Tokyo, as well as other big cities throughout Japan. That’s great, but left with so many options you may find it difficult to pick the right class or studio, especially if you are a beginner or not fluent in Japanese. If you’re lost at where to start your next yogi experience, we’ve put a quick guide to five of our recommended spots in the capital that are both great for beginners and have classes in English. Enjoy! 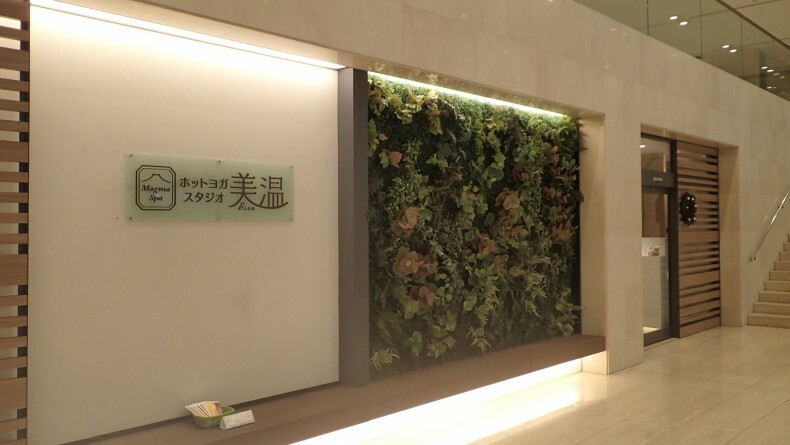 Conveniently based in Minato-ku near Akasaka-Mitsuke station, this fully bilingual yoga studio welcomes everyone from complete beginners to highly experienced yogis. Managed by Japanese-Indian Namita Kurokawa who obtained her multiple licenses in India and Oxford, the studio has only female instructors whose expertise stretches from maternity and postnatal yoga, to kids and Jivamukti yoga and more. The studio offers a supportive and non-competitive environment where you can relax, build strength and flexibility, have fun and meet new friends. 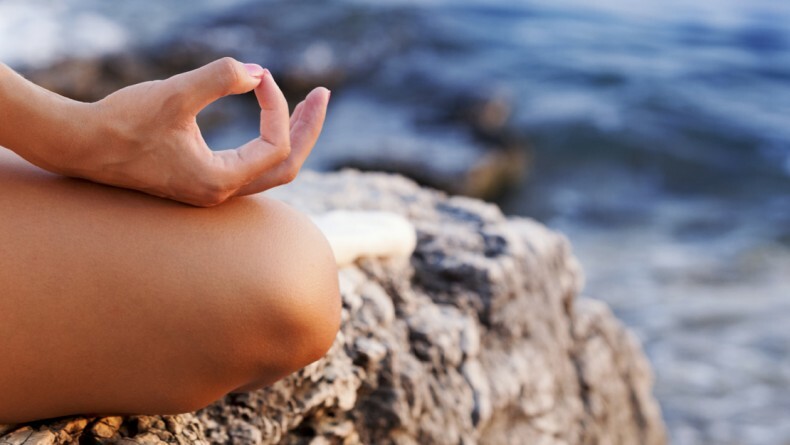 Nami Yoga offers classes in English and Japanese from early in the morning until late in the afternoon. Their studio is small, but cozy, and can fit up to 16 students. Classes vary from Hatha Yoga, Morning Yoga, Mommy Baby Yoga, Lunchtime Yoga and more. The studio even provides corporate yoga workshops for your office, so if you want to get together for a team workout over lunchtime, contact the studio for a special arrangement. Schedule: Classes offered from Monday to Thursday and on weekends. The studio is closed on Fridays. For a full list of all classes, see here. Online registration available. 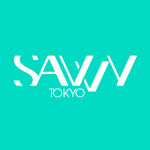 Owned by Californian Leza Lowitz, a writer and a certified yoga instructor with years of experience, Sun and Moon is a warm and friendly studio which provides the Tokyo yoga community with a variety of special workshops, teacher training retreats and one-off classes. The classes are bilingual and for all levels, from beginners to advanced students. Classes vary from basic yoga to vinyasa yoga, yin yoga, restorative yoga, acro yoga, partner yoga, charity yoga and a lot more that you won’t find elsewhere. There is no need for prior reservations since their goal is to make you feel like you’re in an open living room, where anyone can join their classes at any given time. Cost: Drop-ins at anytime without reservation (¥3,000); Four classes/three months validity (¥10,500); 10 classes/three months validity (¥18,000); 20 classes/one month validity (¥20,000). Student discounts available. 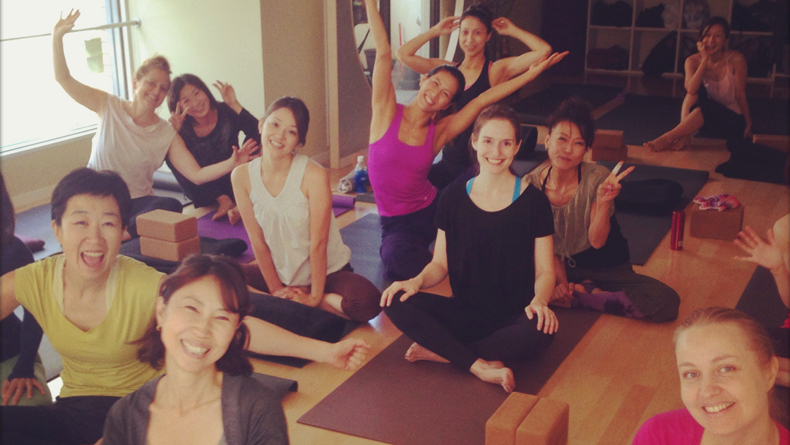 One of the largest and most active bilingual studios in Tokyo, YogaJaya is a place founded on the principles of combining Yoga (union) with Jaya (conquest). Founded by charismatic yoga instructor Patrick Oancia in 2003, YogaJaya’s mission is to provide the place and the means for people to overcome personal limitations through fitness and wellness. YogaJaya encourages all students to explore their potential and always find new ways for personal growth. Their classes are fully bilingual taught by both Japanese and foreign certified instructors. Besides regular classes, YogaJaya has also been hosting various workshops and events for the past 15 years with the goal of promoting yoga and objectivity through diversified learning. This month’s events include an introduction to the philosophy of yoga and a workshop about how to feel at ease. Schedule: The studio is open every day with classes starting from 6:50 a.m. or 7 a.m. and finishing around 8:30 p.m. On Saturdays, classes start from 6:10 a.m. and finish at 8:30 p.m. and on Sundays from 7:30 a.m. until 8:45 p.m. Online sign-up available. © Photo by UNDER THE LIGHT YOGA SCHOOL. Under the Light Yoga School, conveniently located just a minute away from Yoyogi station, is the equivalent of a convenience store for all you can get yoga — the school offers more classes you can count and has more instructors than a whole elementary school (perhaps). This means that you’re welcome to stop by and try a class anytime regardless of your level. Classes vary from Restorative yoga, Meditation, Maternity and Ashtanga Yoga, Taoist Yoga and even Gyrokinesis, a unique workout system for the entire body through seven natural elements of spinal, joint and muscle movement. The school is also dedicated to giving back to the community through volunteer work and support of various charitable projects and organizations and even offers a special Charity Class where participants are encouraged to contribute with small donations that benefit the projects the school supports. No reservations for daily classes are needed and anyone is welcome to join the classes taught in English and Japanese. Schedule: The schedule is different, depending on the day. Usually, the first class starts around 6 a.m. or 7 a.m. and the last class starts at 8.30 p.m. See the full schedule here. © Photo by ZEN inc.
Bikram is a yoga practice invented by Indian Bikram Choudhury which consists of a series of yoga postures and breathing exercises practiced in a heated room with a humidity of 40 percent for 90 minutes. The benefits of Bikram include weight loss, increased strength and flexibility, elimination of toxins and improved posture. Bikram Yoga has studios in Shinjuku and Ginza, as well as in Sapporo, Kyoto, Osaka and Saitama, and offers a “Free Membership” which allows you to attend classes anytime, or the and “Day Time Free Membership,” for those who want a cheaper deal. Trial classes are also available. Cost: Free membership (¥14,800); Daytime free membership (¥12,400); Four classes/one month validity (¥9,250). Cost varies depending on location. Schedule: Classes available from Monday through Sunday. See detailed class schedule here. 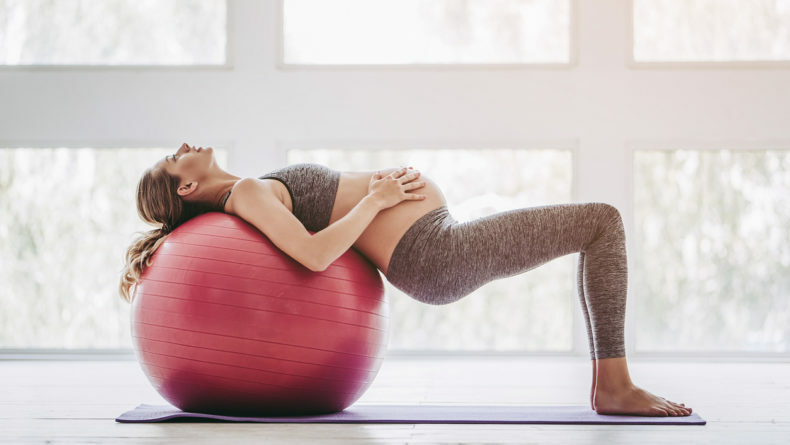 Where to get that so needed workout even when your belly's starting to grow.